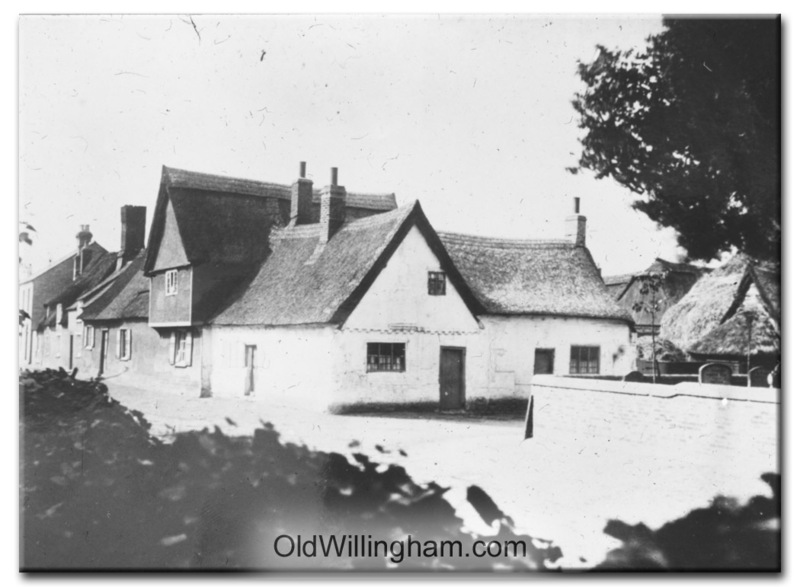 This photo shows the corner of Church Lane and Church St. On the right you can see the gravestones in the Churchyard (many of which were removed in 1970s to make it easier to mow the grass!) On the West side there is a row of thatched buildings. This picture is probably taken in about 1900 – by the First World War they were all gone and replaced with the shop and houses that remain today. The large building on the corner housed a bakery. Bread was baked and sold but you could also take your own dough and use the oven for a small fee. Alas, the combination of fire to heat the oven and thatch to roof the building is a dangerous combination and the building eventually burnt down.